Escape From Nature is a boutique record label based in New York, established by Orlando Volcano earlier this year in an aim to observe, disregard and redefine the boundaries of club music. 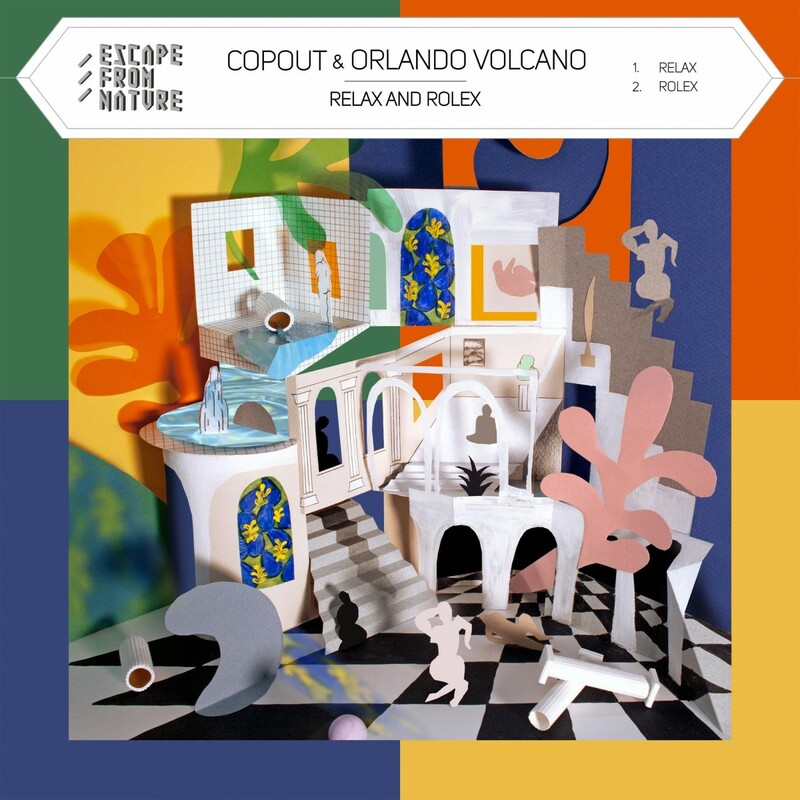 Getting down to business quickly in its year of inception, the third release from the fresh-faced label is a collaborative effort between New York based producers Copout and label-boss Orlando Volcano. Experimenting with tonal and textural contrast, 'Relax And Rolex' toys with ambient breakdowns that sit confidently beside big basslines and hard-hitting drum patterns. Not too fixated on the dancefloor, Rolex is a certified head-nodder that works just as well when you're powerwalking to the bus. Listen to EP track Rolex in the player above and here's a quote from EFN founder Orlando Volcano's on the release: "I was really happy to work with Copout on this release. He's one of my favorite producers in New York and it's great to have him part of EFN. I love his upfront approach to club music, but with this collaboration we really aimed to make a unique sound and I love what happened in this process." Copout's live set from Just Jam also dropped today – you can stream it via Don't Watch That here. 'Relax And Rolex' is out December 10th on Escape From Nature (pre-order).